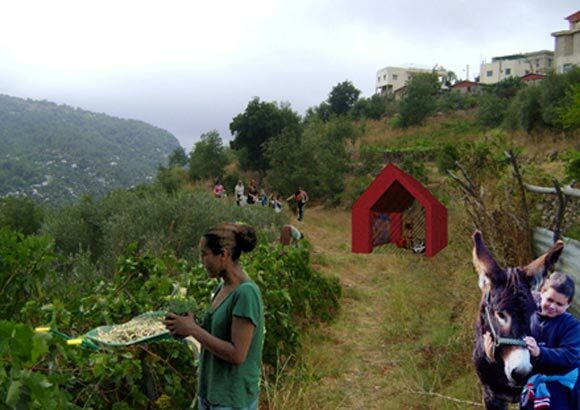 The following essay was originally published by the Netherlands Architecture Institute on December 30, 2010, written by Lama Sfeir, as guest author for Social Cohesion. Architecture is the continuous search through history, culture and society for a common ground. I believe that an ideal society is based on a common language of respect and understanding of the community’s shared territories. I have suffered enough wars to understand that a community is not killed when its buildings are demolished; the destruction starts when its social cohesion is fragmented. One person alone cannot rebuild the faith, belonging, playfulness, hope and fun of a community. We need to go out and play, to bring meaning to our work, and enjoy our lives. To move towards a balanced community we could try to regain the social values that were replaced by economic values, to replace the generic indifference of spaces with a corporal humanism. Today we’re at the completely opposite side of this model because greed rules. But the very definition of a human being is to be human, in the sense of empathising with the other, not pitying and giving charity which foster dependence. Being human is to act responsibly; reflecting on the consequences of our behaviour on the other’s freedom and, thus, on ours too. The schools of architecture are supermarkets where we “buy” a degree to become a product of the global market, a commodity mainly reserved for the rich and powerful. The degree gives the architect the tool to design objects. But “Building” is a word that does not only mean the production of boxes (blobby, squarish, ephemeral, virtual...) to be filled with people and activities; it also has a much larger meaning. And design alone is not enough to guarantee a well-built environment. Every context has its unique solutions that are not easily accepted since reductive mediatised information makes people more comfortable with replicated solutions and stereotypes. In my opinion, the real understanding of architecture is in building sharable spaces and understanding that the social cohesion and involvement are the real cement. It is all about community, not design as an end in itself. The impact of contemporary architecture on the community destroys social values; it is the architect’s task to rebuild it through new systems of governance, creating community through complex networks. Over the years, Lebanon’s destructive political debates (more like a sort of entertaining manipulation heavily broadcast on TV) have overwhelmed people’s attention, driving out all public activities. The only activity that is gathering strength is that of private production/consumption; subsequently, the gap between rich and poor is widening. As a result, the public arena is rife with lobbying, mafias, the politicization of private interests and so on. In a country/world where everyone is so corrupt and money-driven and where the blindly applied urban planning seems senseless and where awareness is not on the political agenda, I guess I have developed this long-term way of thinking. A way in which wanting to be the intellectual designer leads nowhere but to the architect’s prestige within the elite minority. A way in which my WORK (in social activism, awareness, design, writing....) is an ACTION towards an alternative to the socio-economic structure in which we live. Some of my spatial projects are like a collage; the frame, the theme and the main composition are fixed by the architects and taken to the policy maker. The community makes the collages and enjoys exhibiting them to the world. 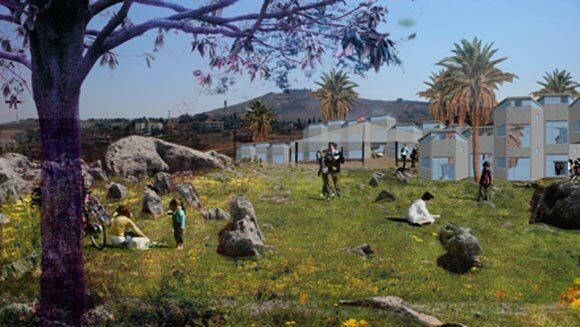 > Soon on this website: more information about the projects The Rock Village and Akhdar Bel Khatt El Ahmar. So, in parallel to design, I use social activism for encouraging participative planning because the meaning that a community gives to a space makes the difference between a place and a void. Any community has its own resilience which only needs to be triggered. Architects can be the catalysts/moderators of change. Architects can contribute to the world outside traditional practice by listening to the communities, respecting their opinions, encouraging community activism, volunteering and pro-bono services in community building, writing, getting involved in political issues, initiating projects, designing sustainably, working on preservation etc. Socially active projects aim to raise awareness; awaken civic involvement, bring back the feelings of belonging, of social cohesion and of spatial equity. Once the community is involved in its environment, the concept of a shared territory is one step closer and the war is one step further. I guess I started this social anarchist way of thinking when I was an architecture student; considered the black sheep of the group, always writing petitions, loudly voicing my perplexity and outrage when facing strict design “rules”. My social activism started on the streets when I used graffiti to express some of my urban outrages in a fun and playful manner; I drew a shining tag “BEIRUT” since the capital city of one of the smallest countries in the world is getting so much media interest, the graffiti highlights this sort of decadent star. 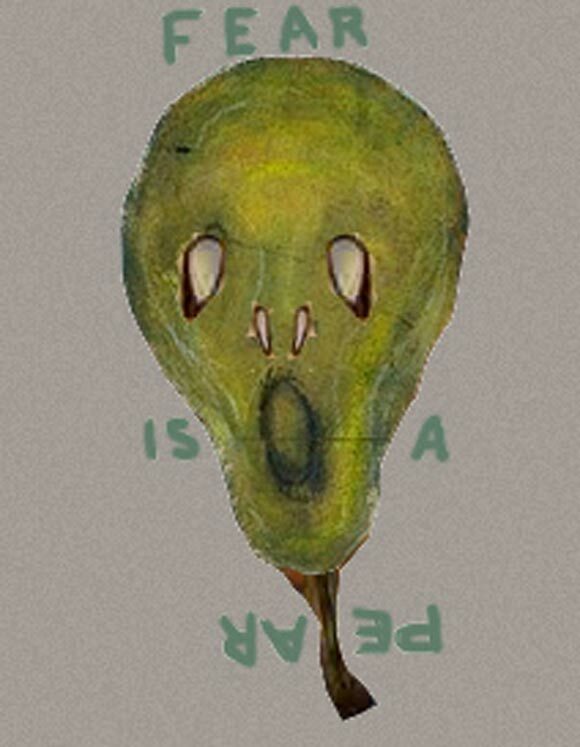 For another graffiti I drew the head of Edvard Munch’s “scream” with the tag “Fear is a Pear”; the work is intended to highlight the “absurdity” of this “scary” abandoned site of the dried-out river and how useless it has become. Today I have become a natural urban explorer. I see projects everywhere I go: an abandoned building here, an unused warehouse there, a destroyed building somewhere else to be re-used or even an untouched, vague parcel of land in the middle of the city which could be turned into a public space, etc. My brain starts calculating ways of avoiding the commodification, gentrification and sanitation of places with a profound historical identity, while still being able to enjoy them. Which requires identifying ways of appealing to the community (is it aware of its value or not? ), how to join the community and mobilize it, and how to contact the municipality. So my hope is to be able to work in this alternative approach and to realize more interesting projects. For the moment I am collaborating with a group of people on the construction of a multidisciplinary collective aimed at raising awareness, and acting on crucial issues regarding community building. I believe that nothing is impossible. However, since the trajectory is not common to any practice, the takeoff is very slow. The most important thing I have learned is how difficult it is to make a living out of social activism in architecture. The solution continues to be survival based on the skills and opportunities of each person, mindful of the main principles, values, criteria (some call them dogmas) that make any work active. The world is full of opportunities for all of us to express our outrage in ideas and visions of a better way of living. It does demand an effort from each of us, but no one will do it unless we know we are all connected. The NAI’s Architecture of Consequence program is a good example of linking the activists through a website and showing their work through books, exhibitions and lecture programs that encourages any proactive approach.